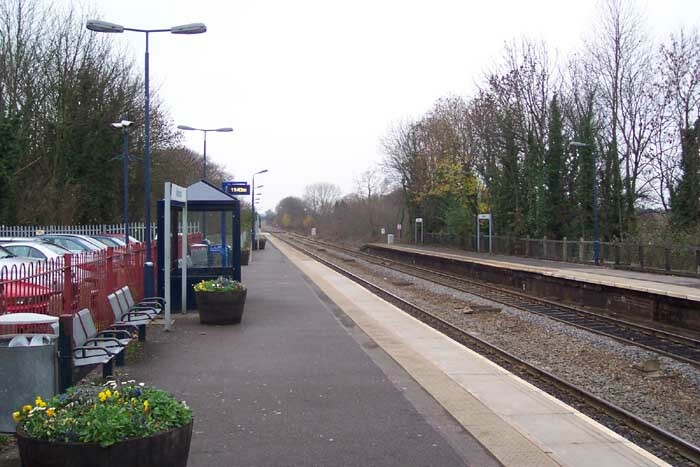 Warwick station was opened by the GWR in 1852 and seems a surprisingly small station for a now historic tourist attraction. 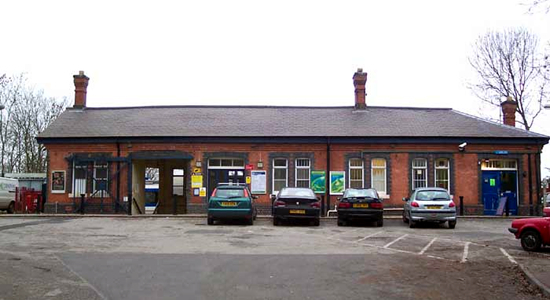 Above we see the station building at the end of Station Road which has changed little since its construction. 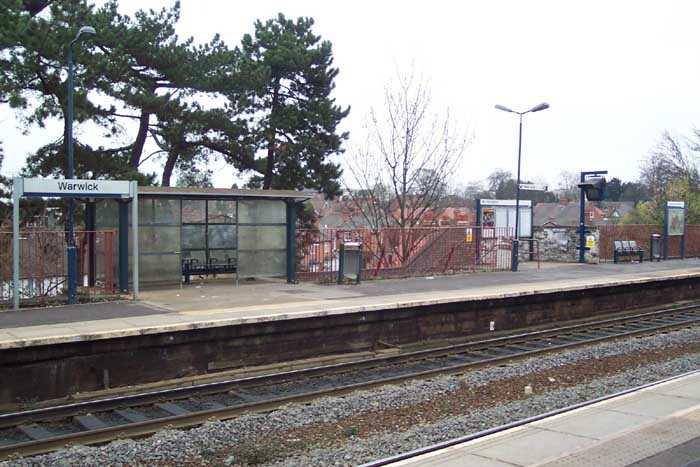 Interestingly for a GWR station, there is no footbridge with access between the two platforms being via a subway the entrance to which is centre left as we look at the building. 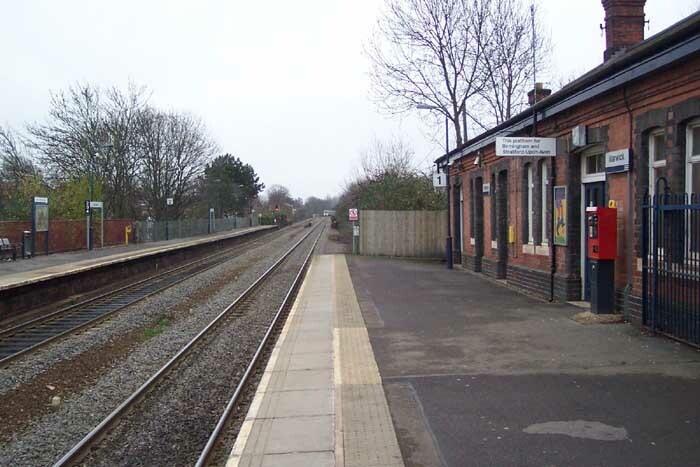 Above-left we are on the Birmingham platform and taking a closer look at the station building - the aforementioned subway can clearly be seen in the foreground. Above-right we are looking towards Leamington Spa from the Birmingham platform. Above-left we are in the same spot as the previous image but this time looking towards Hatton and Birmingham. Just past the station used to be goods sidings and a large coal depot - none of which exist today. 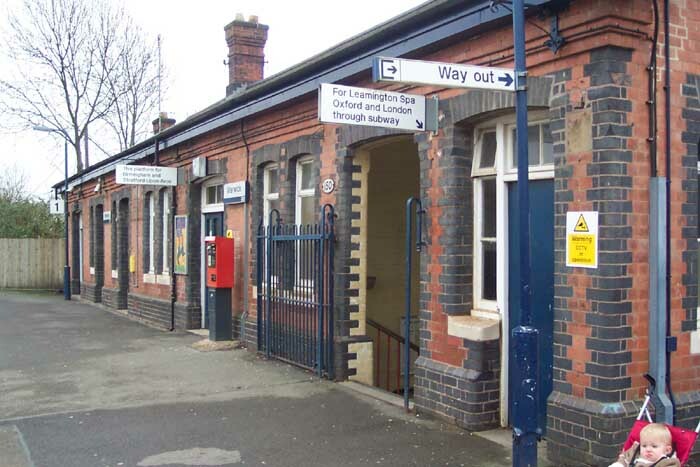 Above-right we see the ever-present bus shelter on the Leamington platform - not an original feature!